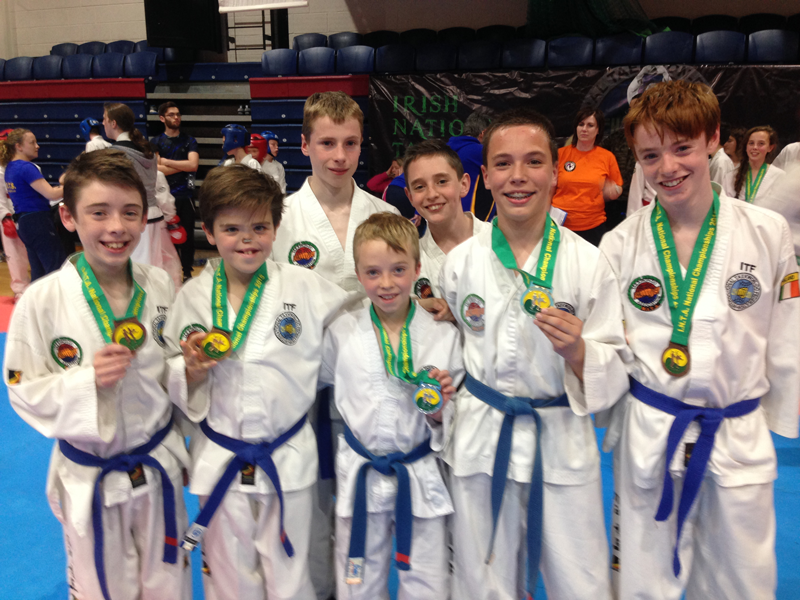 The RITA’s Colour Belt Development Squad reaped the rewards of the hard work with some very fine displays at the UKTA’s English Open 2018 in Guildford. 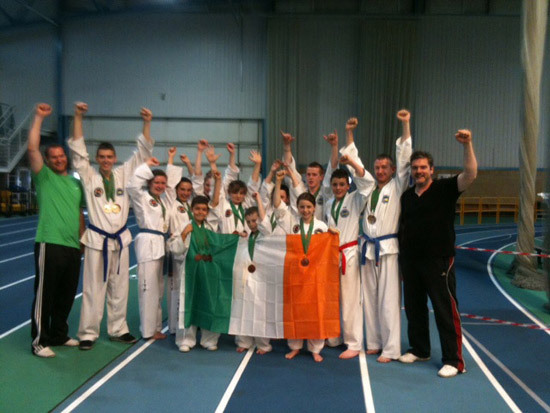 The 15 person squad competed in patterns, sparring and special technique, over the St Patrick’s weekend. The students’ hard training produced clear improvements in both sparring and patterns and they were clearly proud to wear the tricolour on their sleeve. 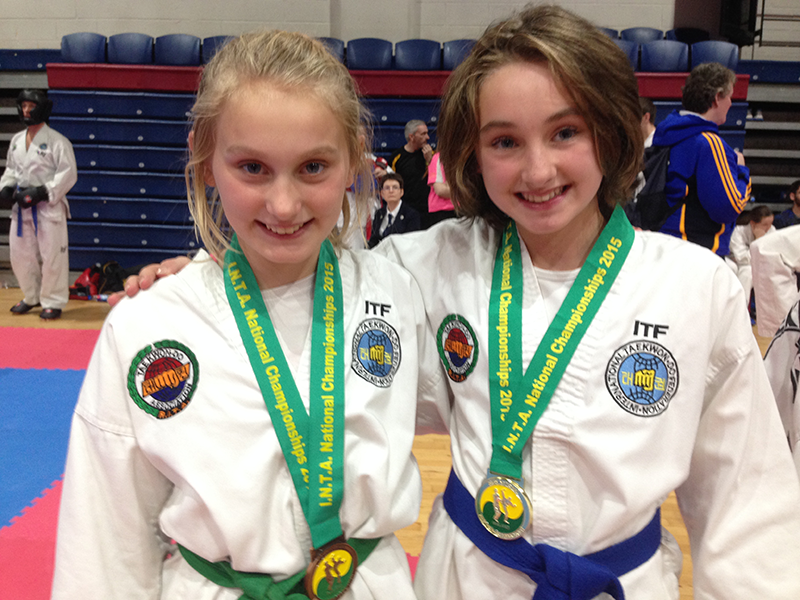 Taking home 10 gold, 4 silver and 6 bronze medals was an added bonus for their hard work. The main goal of the CBS is to develop the students’ patterns and sparring skills for competitions and to prepare students for international competitions. It is drawn from all RITA schools and is coached by Ms Audrey Condon and Mr Adam Fox. CBS training is open to all RITA colour belts (yellow belt and above) and the coaches would love to see as many RITA schools taking part. Training is usually once a month. If you are interested why not ask your instructor for more details. Konstantin Yurikov Sparring Seminar - 10am-4pm Sunday 27th November 2016 – Grandmaster Howard’s Taekwon-Do School. Squad Training - 11am-2pm Sunday 11th December 2016 - Carrick on Suir Taekwon-Do School. Squad Training - 11am-2pm Sunday 8th January 2017 – Oranmore, Galway. Please fill in this form and bring it to the squad session with your valid RITA membership form. Congratulations to the RITA’s colour belt squad members who performed so well at the INTA’s National Championships in the NBA, Dublin. The squad of 20 performed well across patterns, sparring and special technique and reaped the rewards of their hard training. It was nice to see that the squad members putting their training (with coach Mr Fox) into practice. Senior Master Howard and Mr Leon McSherry were stand-in coaches on the day and helped to steer the young competitors through many rounds and into the medal places. The message of the day was “give a good performance and the medals will follow”, and they did indeed, 24 in total. Some won medals and some didn’t, but the overall their coaches were happy with the performances and effort showed by all the RITA competitors. Thanks to Master O’Doherty for umpiring during the event. The event attracted 450 competitors from across Ireland and further afield and there was some good talent on display. The RITA would like to thank Senior Master O’Toole, Senior Master Douglas and Mr Jeroen Wezelman for the warm welcome and well organised competition. Next trip for the CBS is to The Netherlands for the Open Taekyon toernooi on the 29th of November. Congratulations to the RITA students who were selected for the RITA’s national colourbelt squad. 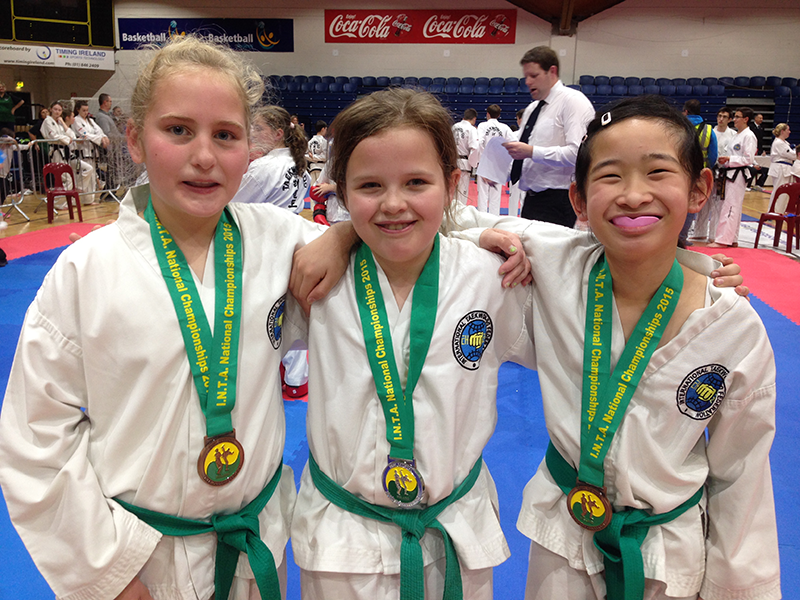 The squad will represent Ireland at the UKTA’s English Open on 21/22nd March, in Guilford. Head coach of the colourbelt squad development programme, Mr Adam Fox, announced the squad on Sunday after the Scion Open tournament in Cork. He said that he picked the squad not based on talent but based on hard work and improvement. He told the selected members “you worked hard to be good enough to be picked, but now you need to work harder and improve further”. The RITA’s colourbelt squad is a development programme aimed at raising the standard of its competitors and giving them more practice and experience at tournaments. Next Colour Belt squad training is in Carrick-on-Suir on Sunday 22nd February (11-2pm). Students were selected from four RITA schools; Carrick-on-Suir, GM Howard’s, Kilmacow, and Stillorgan. Congratulations to all those selected and best of luck at the English Open. Plans for our UK competition, domestic competitions, selection process, and training schedule for the next few months will be presented. Congratulations to Hannah Eade from Carrick-on-Suir and Kia Conaty-Carley from Kilmacow who have been selected to represent Ireland at the European Championships in Bulgaria 23-30 April. 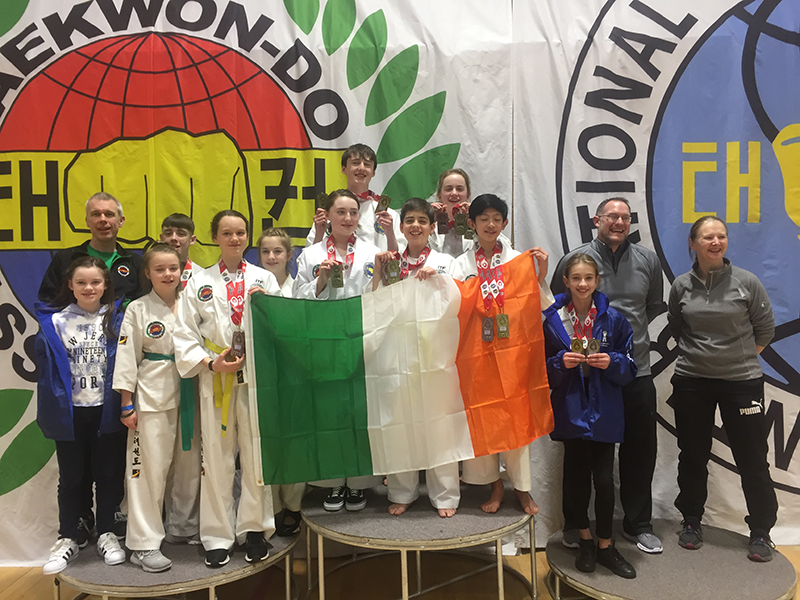 Well done to Eanna Hardesty, Carrick TKD and Damien Vaughan, Galway TKD, who took part in the ITA Open Championships in Limerick yesterday, as part of the RITA National Colour Belt Development Squad. 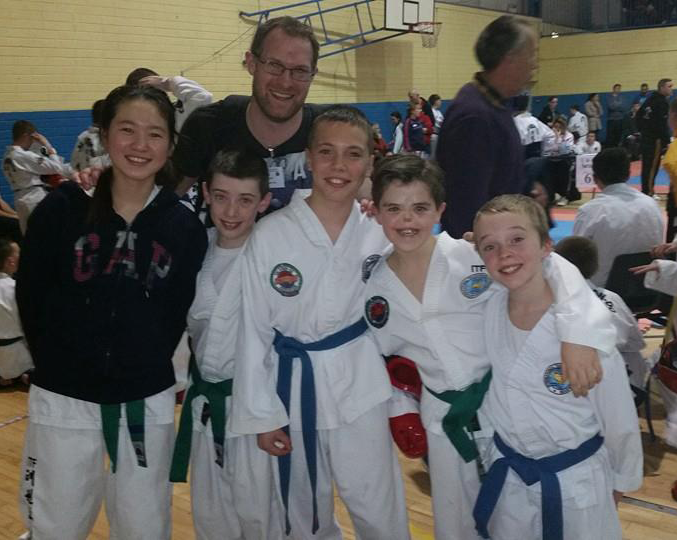 Eanna won bronze in red belt patterns and sparring, and Damien won silver in blue belt patterns and bronze in sparring. They are pictured here with Coach, Mr Paul Tobin and Assistant Coach Mr Adam Fox. Congratulations to Hannah Eade, 1st Kup from Carrick-on-Suir Taekwon-Do School who won Best Overall Colour Belt in the Under 13 section of the recent Welsh Open Championships. Hannah is a member of the RITA National Colour Belt Development Squad "A" Team who represented the RITA at this competition. 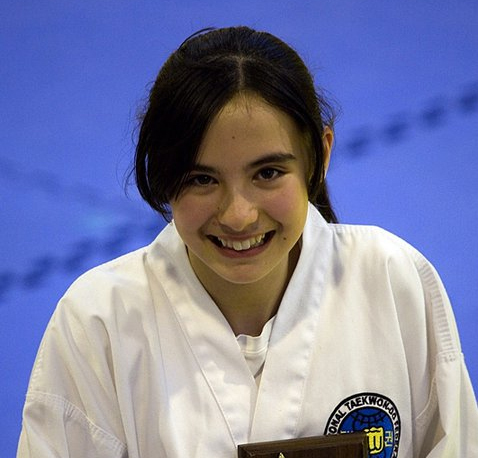 She won gold in patterns, gold in sparring and silver in special technique. Under the guidance of Coach Mr Paul Tobin and Assistant Coach Mr Adam Fox, the 12 member RITA National Colour Belt Development Squad came 4th overall out of 59 schools and 292 competitors. They brought home a total of 23 medals (9 gold, 5 silver and 9 bronze). Well done to everyone involved.